Social networks have long been used as a marketing tool for applications. But in China, the WeChat Official Account , born out of Chinese tech behemoth Tencent’s social network WeChat, is redefining the whole landscape. “WeChat is an app killer in a way,” Alexis Bonhomme, the general manager of Curiosity China, told TechNode. Mr. Bonhomme formerly worked with a joint venture between Groupon and Tencent before co-founding his own WeChat marketing firm. “There are two different perspectives. People outside of China keep on thinking they need an app to expand in China, [but] in China, companies don’t want to build an app because it costs a lot to build, maintain and promote,” he says. 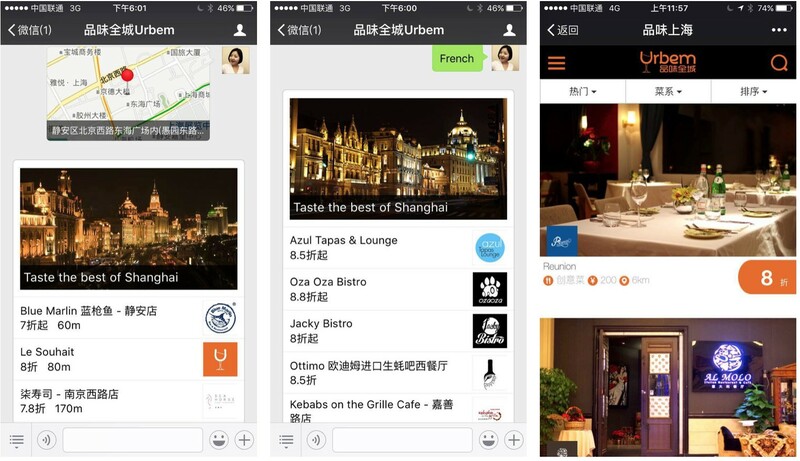 In one instance, Urbem, a Chinese dining services platform, used a WeChat account instead of an app to run their restaurant recommendation services. “If you compare the function of an application and the WeChat service accounts, any feature you can perform on the application you can do the same on WeChat.” says Steven Chen, the CEO of Urbem. “While developing an app, you have the hassle of working on an iOS and Android version, and their backend and frontend separately, and you have to hire corresponding app developers…WeChat service accounts runs seamlessly regardless of operating system,” says Mr. Chen. By leveraging WeChat’s functions, Urbem added a data analytics feature to their WeChat service account. Its patent-pending Ubot answers user inquiries in real-time and recommends dining offers based on the user’s location, dining occasion, and food category. Currently, there are more than 12 million corporate WeChat accounts. Two years ago, there were only 500,000, according to Curiosity China. WeChat service accounts are seeing higher growth and higher competition among other WeChat service accounts. One of the earliest adopters of WeChat service accounts is now monetizing their user base. 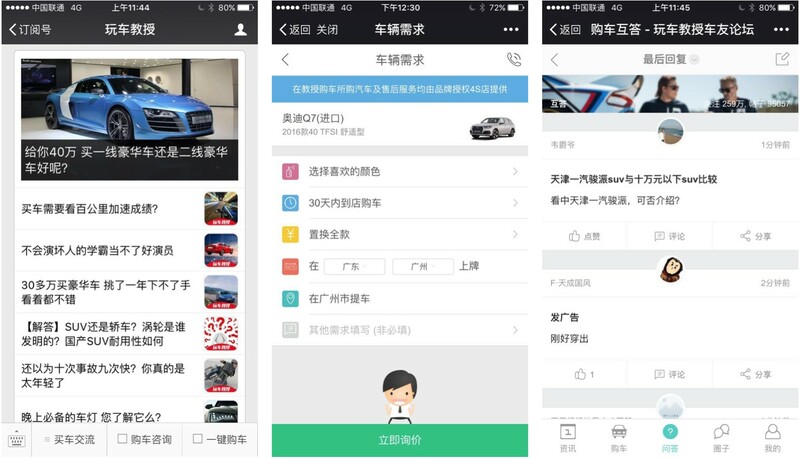 Founded in May 2014, Chemm (玩车教师), a car purchase guide platform, provides a range of assistance from exclusive car purchasing content to the final car purchase. Chemm has 3 million followers on WeChat. The company raised A round funding, valued at a 600 million yuan ($92.3 million USD). Despite the advantages that WeChat service accounts provide, Mr. Yao is also aware of its disadvantages. WeChat service accounts are not only used to replace existing mobile applications – they can be used to promote them. Companies generate traffic through their WeChat account, before leading those users to download their app. “A WeChat app can be an app promoter. So it’s not that you need to build a new app in China, nor you have to shut down your app in China,” Mr. Bonhomme says. Urbem is now using their WeChat account to complement another application. The company is currently raising $500,000 USD to add Urbem’s service to the Alipay service window, which lets users run the service through the Alipay payment option. “We still need [an] application, because there were people who do not rely much on WeChat. We’ll keep all three options, the WeChat public account, Alipay service window and application.” Mr. Steven says.